SIGGRAPH is the world's largest, most influential annual event in computer graphics and interactive techniques. The SIGGRAPH experience encompasses five mind-blowing days of conference content packed with research, demos and screenings of the latest breakthroughs in the field. It also includes three days of exhibits showcasing cutting-edge technology and presentations from industry-leading companies. 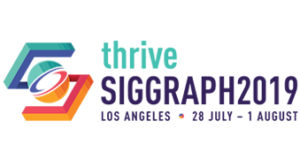 SIGGRAPH 2017 will take place from July 30 to August 3, 2017.